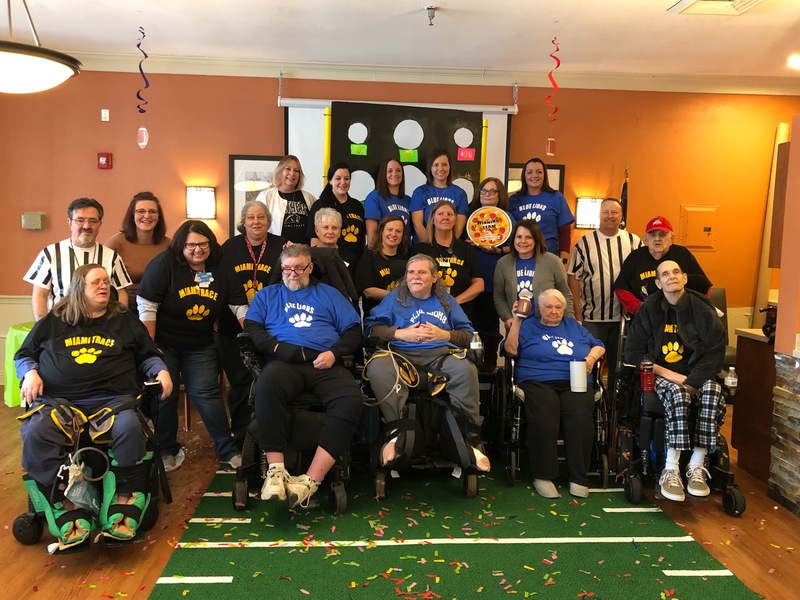 Thank you to our staff who took the time to make this day even more entertaining with our residents. Thank you to Heartland Home Health & Hospice for the tailgate items and coming to help. Thank you to Creative Designs by Denise for making our team shirts. And thank you to Super Sport Pizza & Wings. Home of the Bobfatherfor donating a pizza party to our winning team! What a wonderful community we have!